The Ganil division aims to contribute to the development and operation of the very large "Grand Acélérateur National d'Ions Lourds" research infrastructure located in Caen, as well as to the experiments and research carried out there. The department is particularly involved in the design, implementation and analysis of experiments using heavy ion beams in the field of nuclear physics or multidisciplinary research. He also participates in theoretical studies in these fields. The close articulation between the different research themes leads Irfu researchers to carry out different theoretical works at the same time and to carry out experiments whose complementarity makes it possible to advance the understanding of the organization of matter on the scale of the infinitely small as well as the infinitely large. 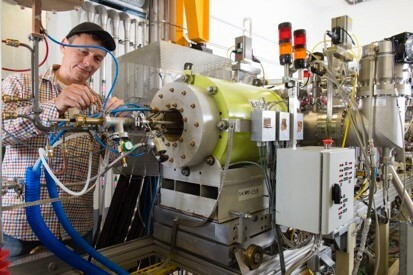 The department is finally in charge of proposing the evolutions of the accelerator and experimental areas such as S3, the super spectrometer separator, where Irfu is involved in the detection device or Actar for future experiments. The Ganil centre in Caen being an EIG, the research carried out by the CEA is part of a European research project on nuclear physics. 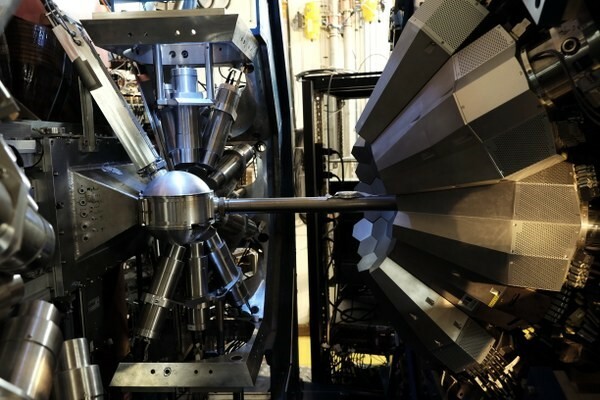 Open to researchers from all over the world and to industry, the research platforms where Irfu is present are at the heart of one of the 5 largest laboratories in the world, dedicated to the study of heavy ion beams. 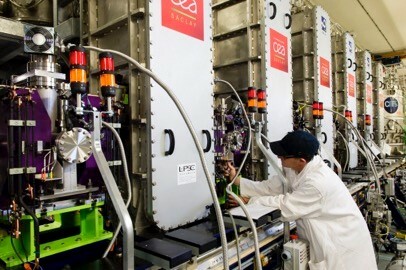 GANIL - large equipment : GANIL, National Large Heavy Ion Accelerator, is a very large equipment at the service of French, European and international research. Today, GANIL is one of the world's leading laboratories for ion beam research. 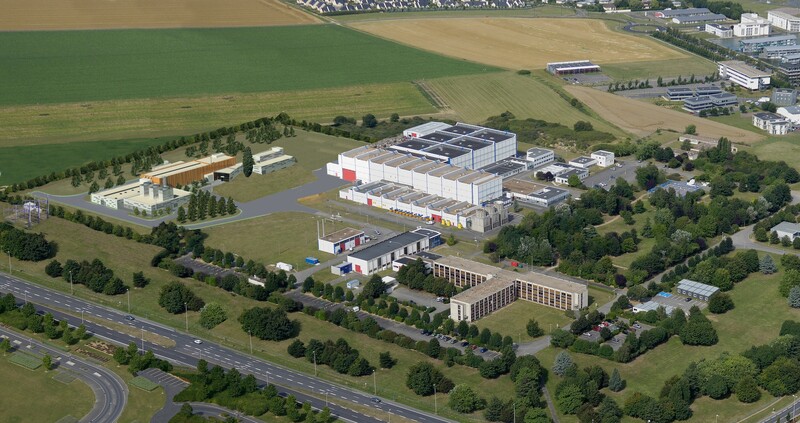 A national laboratory located in Caen, its scientific community includes 700 researchers from laboratories around the world, who regularly come to GANIL to conduct experiments and participate in scientific discussions. 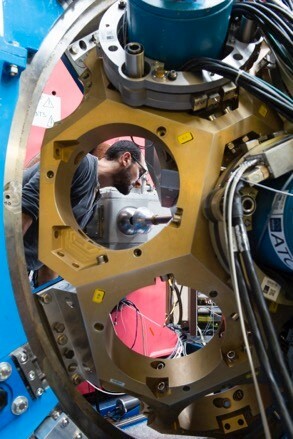 GANIL has an accelerator system and associated detectors used during experiments. Ganil - the physics group : It counts about fifty people. It is composed of researchers, post-doctoral fellows, thesis students, as well as engineers and technicians. Research is experimental as well as theoretical. They focus on 4 major themes: nuclear structure: study of the evolution of the structure of the atomic nucleus from the valley of stability to the limits of matter's existence, and its manifestations in terms of lifespan, shape, mass, modes of nucleon decay and organization. Ganil - the sectors : The accelerator sector (SDA) The main mission of the accelerator sector is to operate GANIL's five cyclotrons and transport the heavy ion beam to the physics rooms. This sector also manages the maintenance of accelerators and the continuous improvement of their performance. For that, the sector is made up of 8 technical groups which can intervene 24 hours a day during operation in the field of operation, ion sources, control, high frequencies, diagnostics, power supplies, vacuum and cryogenics.